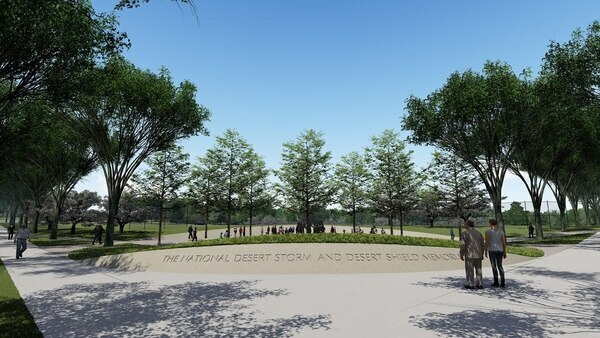 WASHINGTON — The National Desert Storm War Memorial will be located on the National Mall just steps away from the Lincoln Memorial and Vietnam Veterans Memorial Wall, after a federal commission approved the site on Thursday. The move ends a debate of more than three years over where the newest combat memorial should be located. 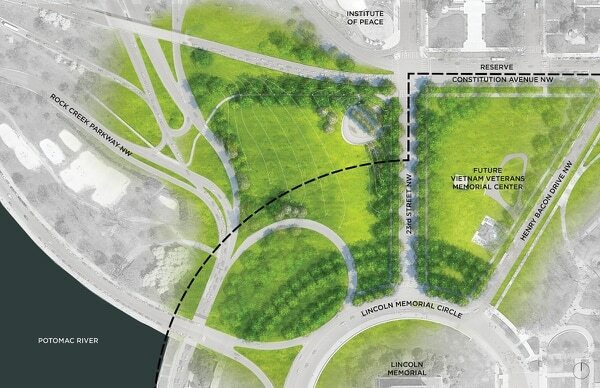 Supporters have been advocating for a site on the National Mall for years, and earlier this year that plan got support from the National Capital Planning Commission. But the prominent location still needed approval from the U.S. Commission of Fine Arts to finalize the plan, an agreement that was not guaranteed given that space on the 146-acre site in the center of the nation’s capital is closely managed. The panel gave its approval on Thursday. Scott Stump, the Desert Storm Marine veteran spearheading the memorial project, said his team at the National Desert Storm War Memorial Association was “very pleased and very relieved” by the commission’s decision. Almost 17 years into fighting, organizers say its past time to begin planning a tribute site. The spot is located at 23rd Street and Constitution Avenue in Washington, D.C., just north of the Lincoln Memorial and a short walk from the well-known Vietnam memorial site. It’s also less than a half-mile from the World War II Memorial and Korean War Veterans Memorial. When Stump’s team initially began scouting memorial sites, there were more than 100 locations in the mix. Three years later, Stump said he is ready to move into the design and construction phases. Stump’s team already has some design plans in the works, but the final design will once again require approval from the National Park Service, National Capital Planning Commission and the U.S. Commission of Fine Arts. Stump said the time and labor required to get the memorial off the ground is well worth it to accomplish the ultimate mission: honor the troops who served in operations Desert Storm and Desert Shield and educate the public on the continued significance of that war. The Poppy Memorial is a temporary exhibit on the National Mall in Washington D.C. with hundreds of thousands red synthetic poppies collected to represent every service member killed in every conflict since WWI. It was in Washington for the Memorial Day weekend. 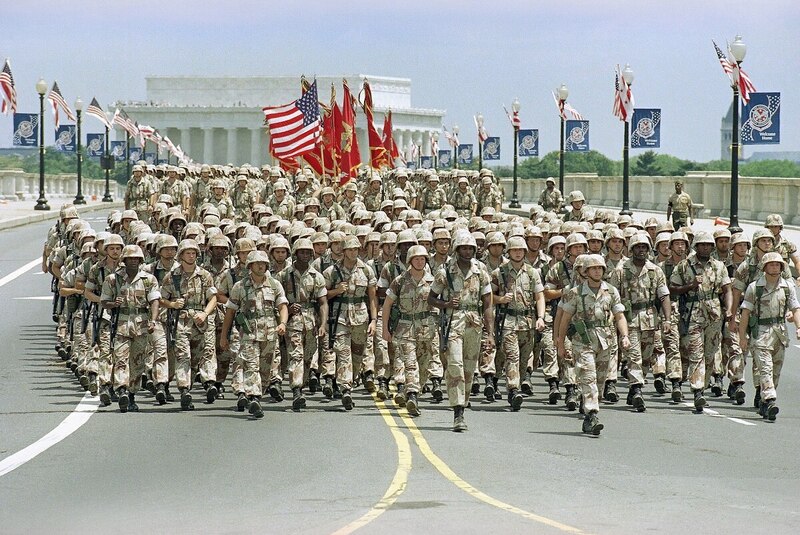 Nearly 700,000 American troops were deployed during Operation Desert Shield and Operation Desert Storm in the early 1990s. Combat missions took the lives of nearly 400 U.S. service members. The estimated cost of the memorial project is expected to top $25 million, all coming from private donations. To date, the effort has raised just under $2 million. Stump said his team is on track to meet their goal of completing construction by 2021, the 30th anniversary of the first Gulf War. He emphasized that when complete, the memorial will have a distinct feel compared to the other war memorials surrounding it.